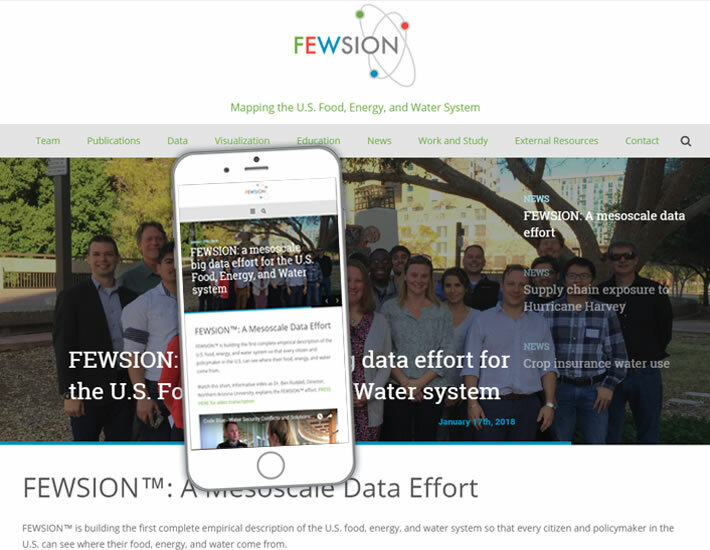 Yet another collaboration with Professor Ben Ruddell, the FEWSION.us project website was already built but not launched when he approached me. The user experience was not optimal, and he asked me to address the site’s needs. I polished the presentation, including the use of a pivotal video on the homepage to explain the complexity of the FEWSION project upfront. I then brought consistency to the information throughout the rest of the site so that the user could focus on the content at hand and not be distracted by the interface. Visit the FEWSION.us website HERE. See Dr. Ruddell’s Computer Systems Informatics Laboratory project HERE. See Dr. Ruddell’s Information Theory project HERE.